But M. Shkreli's psychopathic rationalizations and refusal to empathize with ordinary people is just a reflection of our entire economic system. The problem is not greedy individuals, or even corporate cronyism (although those are serious problems.) The real problem is capitalism itself. I made this song, video, and website because I want more people to be "active economic citizens" (in the words of economist Ha-Joon Chang). Whether you think we need to transform capitalism, or "save it from itself" (in the words of former US Labor Secretary Robert Reich), I want you to join the fight for economic change and political justice. The financial crash of 2008 demonstrated many of the worst problems in our system: personal excess, short-term corporate profit lust, ineffective oversight, and consolidation of financial power. Fortunately, many resources await those who want to know what happened and why. Charles Ferguson's 2010 film Inside Job won the Academy Award for Best Documentary Feature, and rightly so. Narrated by Matt Damon, it is thorough, nuanced, and very entertaining. 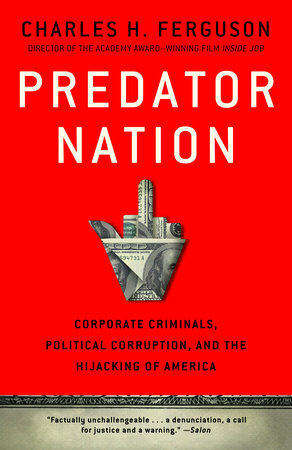 Ferguson followed the film in 2013 with a book titled Predator Nation: Corporate Criminals, Political Corruption, and the Hijacking of America. He expands on the film's revelations, and explains in clear prose how deep the problems are (and who's responsible for them). It is the most important book ever written about the 2008 crisis. In the first chapter, he writes: "The rise of predatory finance is both a cause and a symptom of an even broader, and even more disturbing, change in America's economy and political system. The financial sector is the core of a new oligarchy that has risen to power over the past thirty years, and that has profoundly changed American life." When the book came out, Ferguson spoke with Amy Goodman on DemocracyNow! about this change and the oligarchy it has produced. Asked specifically which crimes were committed, he said: "It's a very long list. Certainly at the top of the list would be securities fraud, accounting fraud and Sarbanes-Oxley violations. [...] We now have publicly available evidence, through a combination of lawsuits, government investigations and whistleblowers, that there was extensive and highly illegal conduct in the housing bubble and the financial crisis." 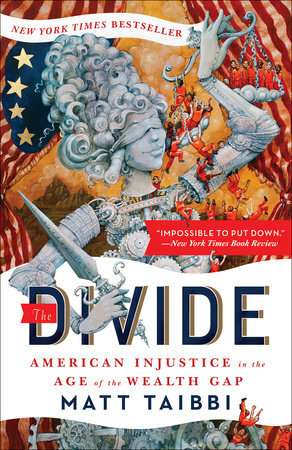 Taibbi also spoke with DemocracyNow! to discuss his research and analysis. He explained: "This book grew out of my experience covering Wall Street. I've obviously been doing it since the crash in 2008. And over and over again, I would cover these very complex and often very socially destructive capers committed by white-collar criminals. And the punchline to all of the stories were basically the same: Nobody would get indicted; nobody went to jail. "I shifted my focus to try to learn a lot more for myself about who does go to jail in this country, because I thought you really can't make this comparison accurately until you learn about both sides of the equation, because it's actually much more grotesque to consider the non-enforcement of white-collar criminals when you do consider how incredibly aggressive law enforcement is with regard to everybody else." Capitalism is not the worst system of economic organization ever created. (The economist Ha-Joon Chang once said, paraphrasing Winston Churchill's famous line about democracy, "Capitalism is the worst system of economics, except for all the others we've tried.") But it has deep flaws at its core, and we can do better. 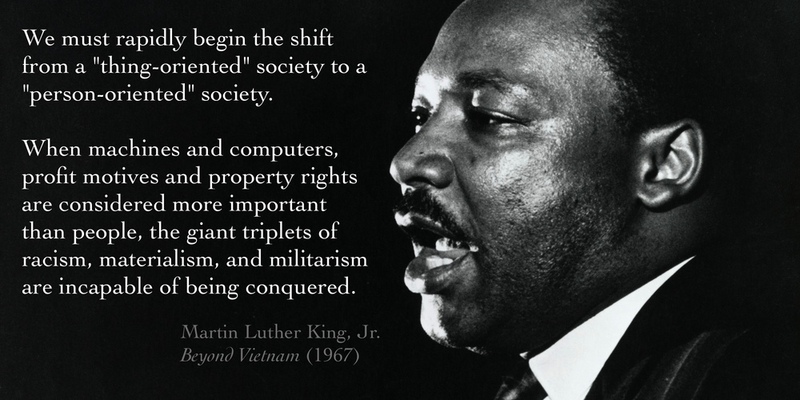 In 1967 Martin Luther King, Jr. wrote: "Communism forgets that life is individual. Capitalism forgets that life is social, and the kingdom of brotherhood is found neither in the thesis of communism nor the antithesis of capitalism but in a higher synthesis. It is found in a higher synthesis that combines the truths of both." In 2015 the rapper Killer Mike (of Run the Jewels) invited Vermont Senator Bernie Sanders into his Atlanta barbershop to discuss capitalism, its alternatives, and economic justice. Sanders, a lifelong champion of poor and working people — and a person who has fought against racism and white supremacy for decades — found abundant common ground with Mike, even while they disagreed on certain issues. It's a remarkable conversation, bringing together two profound thinkers from profoundly different backgrounds. 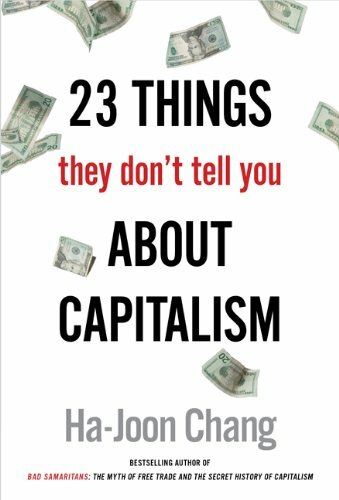 Many books have been written about capitalism, but perhaps the most engaging (and accessible) recent title is Ha-Joon Chang's 2011 book 23 Things They Don't Tell You about Capitalism. In the introduction, he writes: "It is not necessary for us to understand all the technical details in order to understand what is going on in the world and exercise what I call an 'active economic citizenship' to demand the right courses of action from those in decision-making positions. After all, we make judgements about all sorts of other issues despite lacking technical expertise. We don't need to be expert epidemiologists in order to know that there should be hygiene standards in food factories, butchers and restaurants. Making judgements about economics is no different." In 2008 Chang gave a talk entitled "Why the World Isn't Flat", a comprehensive response to and refutation of the claim by Thomas Friedman that "free trade" rules imposed by NAFTA and the WTO make things better for everyone. Using a rare mix of insight, detail, pop culture, and humor, Chang eviscerates this claim and demonstrates how people around the world — especially the poor and most vulnerable — are hurt by these policies. This talk is focused on problems with "free trade", but it clearly ties into the discussion of capitalism as a system. 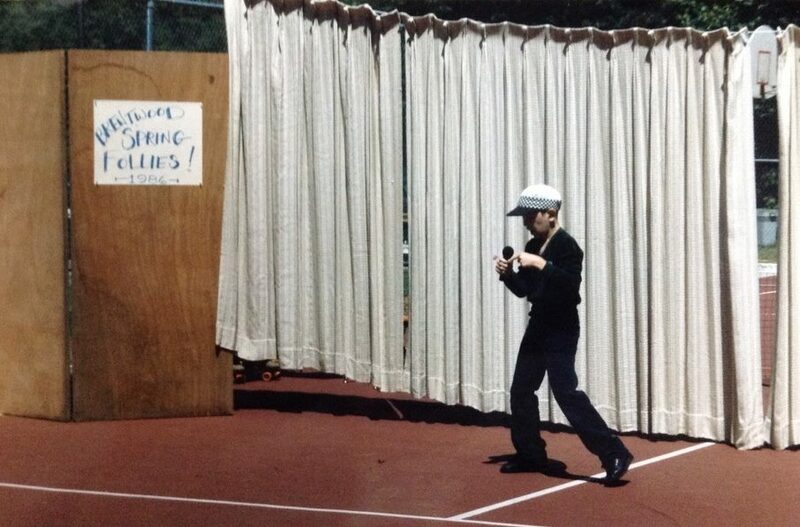 I've been writing hip-hop lyrics since I was 10 years old. (I wrote some really bad lyrics for the speech every student was required to give during our elementary-school graduation ceremony.) I've used many names over the years, including "The Devil in Black" and "Scartol". Because my students have trouble pronouncing my last name, they call me "Mr. P". Thus my latest hip-hop moniker. 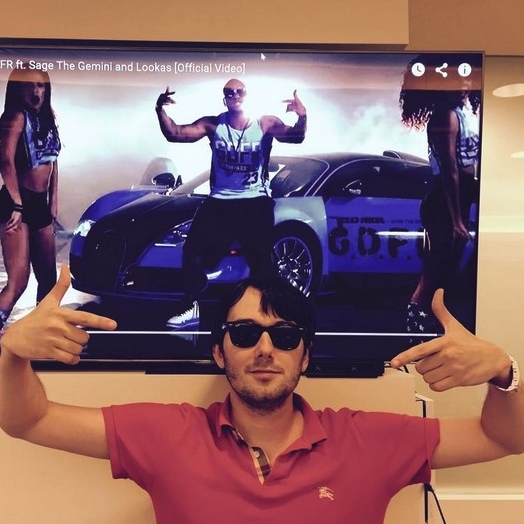 "Martin Skrilla" was inspired by M. Shkreli's foray into the world of rare hip-hop, combined with my frustration at the rampant criminality and unethical behavior of Wall Street fatcats. ("Scrilla" is a slang term for "money".) I used a beat from a production team called Redhooknoodles — a move protected by the Fair Use clause of US copyright law — and mixed it with sounds from my favorite movies. The video was shot in the basement of my home. Here are the lyrics; I've added links in various places to elucidate concepts and references. Please contact me (Twitter is the easiest way) with questions or feedback. You think the system is workin cuz I'm headed to prison?